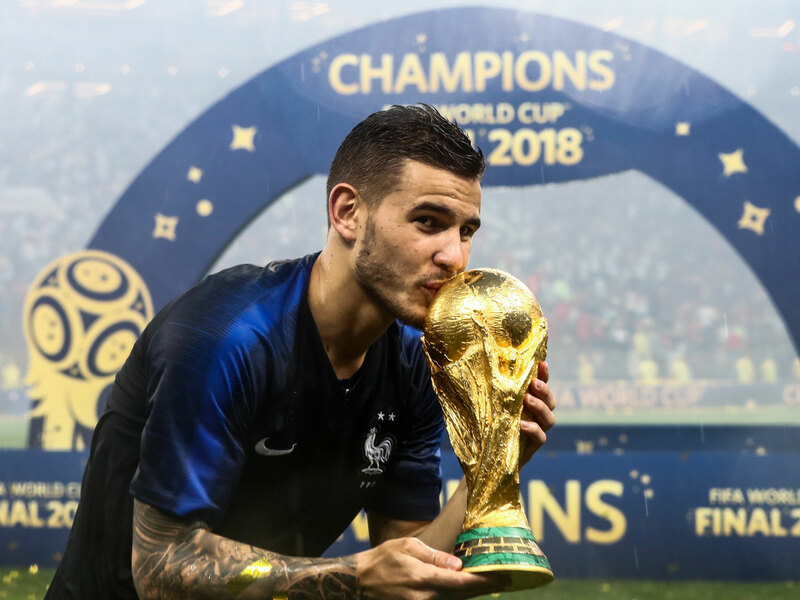 France is the 2018 World Cup champion, and it's no surprise that Les Bleus feature quite heavily in our team of the tournament. After 64 games and more drama than any World Cup in at least 20 years, there's one piece of business left to do: Pick a team of the tournament. It’s been picked as a team that might function together rather than just the 11 best players, and to avoid the temptation of packing it with France’s champions, a limit of four players per country has been self-imposed. Hugo Lloris had a strange World Cup in that he did very little but made an outstanding save in each game in the knockout round, including the final. Unfortunately he also made a dreadful error in the final to gift Mario Mandzukic a goal, and it’s that that gets Courtois the nod. He was solid throughout and made a string of exceptional saves in the quarterfinal against Brazil. When Gareth Southgate decided for the friendly against the Netherlands in March to use Kyle Walker as a right-sided central defender and deploy Kieran Tripper as a right wingback, eyebrows were raised. But Tripper was outstanding as a right wingback, a position that accentuated his crossing ability while placing less onus on him to defend. His set-play delivery was a bonus that sees him in just ahead of Croatia's Sime Vrsaljko and France's Benjamin Pavard. 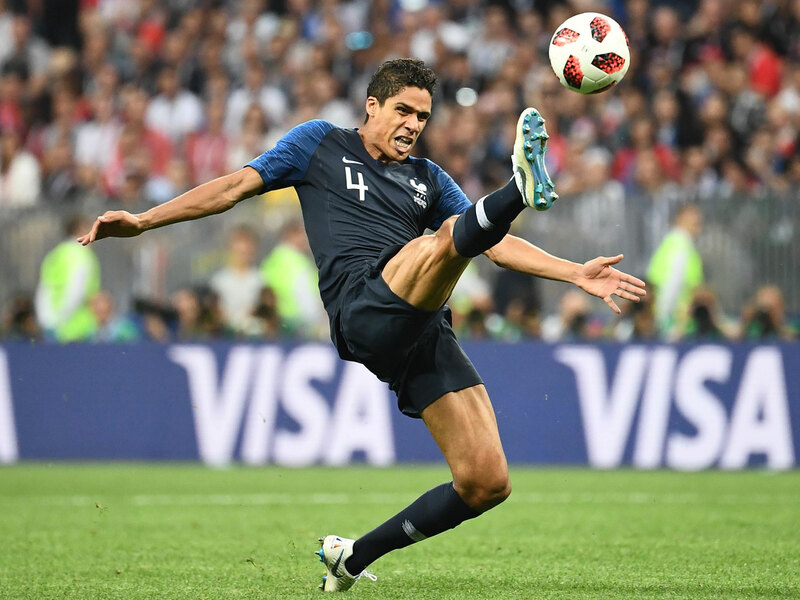 Belgium tried to unsettle France in the semifinal by using the aerial ability of Romelu Lukaku and Marouane Fellaini, but the Manchester United stars were thwarted by the excellence of the pairing between Samuel Umtiti and Raphael Varane. Umtiti also scored the winner that night, while Varane got a key goal in the quarterfinal win over Uruguay. Frankly either or both could have been selected, but Varane’s slightly more ambitious passing gets him in. The Atletico Madrid center back is, quite simply, the best defender in the game, something he proved again here. Uruguay went through the group stage without conceding a goal, and it was a sign of how cleanly it defended that it picked up fewer yellow cards per game than any other side at the tournament. At the heart of that was Godin, a great leader and organizer, who handled Cristiano Ronaldo in the last 16 as well as anybody in the tournament. This has not been a World Cup in which any one left back has stood out, but Hernandez has been solid and consistent, an unflamboyant but effective presence in what was the best defense in the tournament. He also set up two goals in the knockout stage. 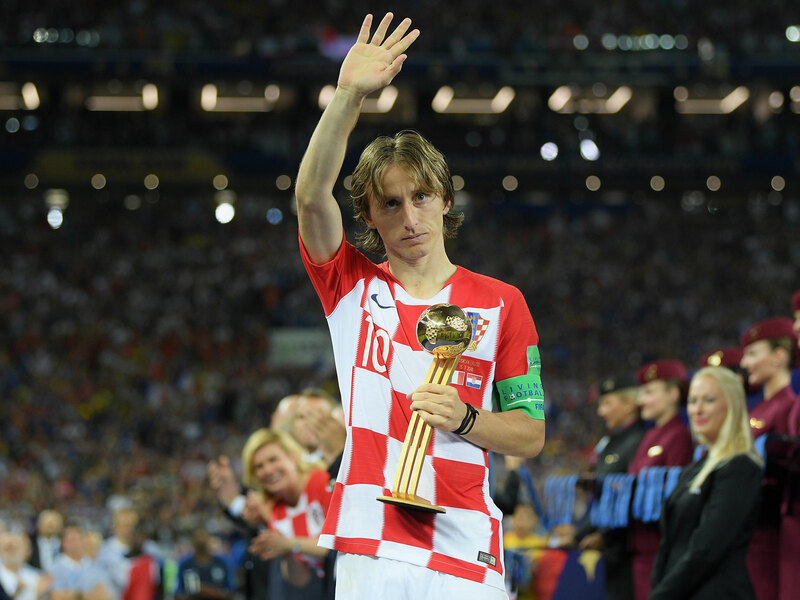 Nobody ran more than Modric in the tournament, and no Croatian played more passes. He was a deserved winner of the Golden Ball, an individual who placed his immense gifts in the service of his team. He was also a great captain, and showed his mental strength to score a penalty in the shootout against Denmark having missed one towards the end of extra time. 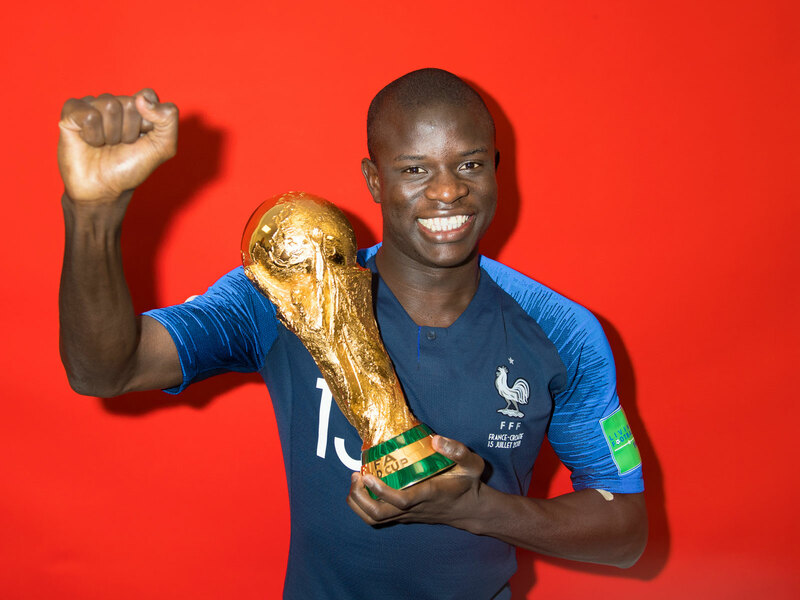 Kante had a slightly disappointing final, but he was vital to France’s success, protecting the two central defenders through his energy and positional sense. Paul Pogba had a very good tournament, in part, you suspect, because, to rework the old Leicester joke, he was playing in a midfield three with Kante to his left and Kante to his right. In a Brazil team that spluttered some way short of potential, hamstrung by its over-reliance on Neymar, Philippe Coutinho was the one outstanding success, driving the side on creatively from a position on the left of midfield in a 4-3-3, covering from Neymar as he drifted in-field, and for Marcelo as he charged past him. Give Mbappe space, and he will destroy you. 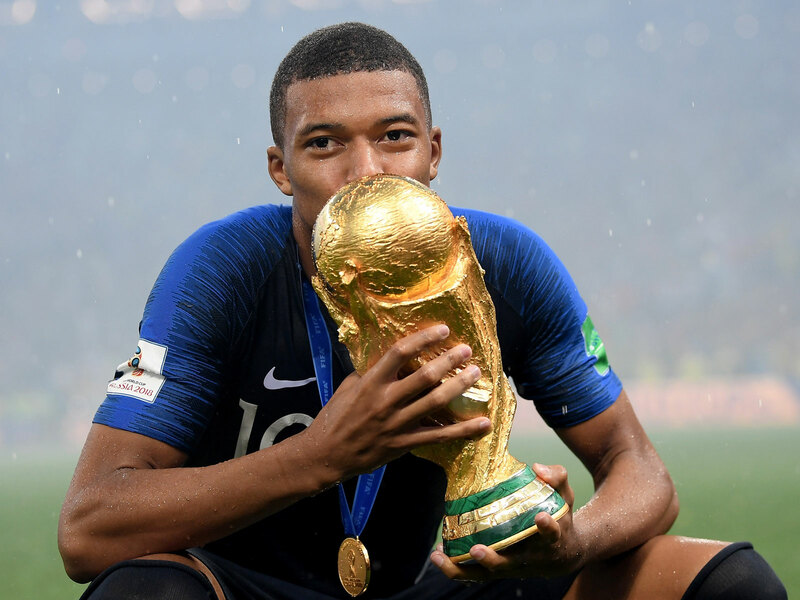 He was the first teenager to score in the World Cup final since Pele and the first teenager to score two goals in a World Cup knockout game since Pele. He forces opponents to change how they play. But to suggest pace is all he has is to sell him very short. He has immense technical ability and an eye for goal and, perhaps most pleasing of all, he seems to care far more for team prizes than individual awards. 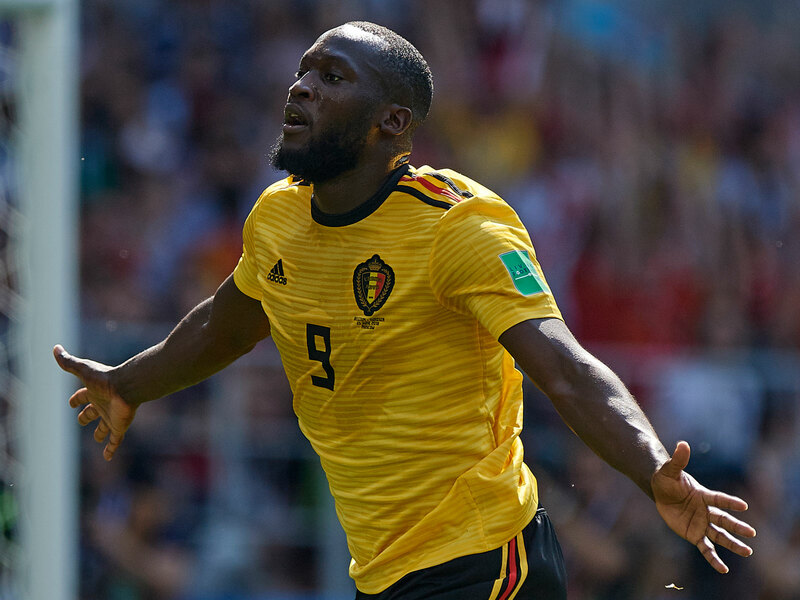 Lukaku is a player who is often derided for the lack of imagination of his movement, but in this tournament he was excellent, both in offering the physical threat nobody doubts he possesses, and for the intelligence of his runs. 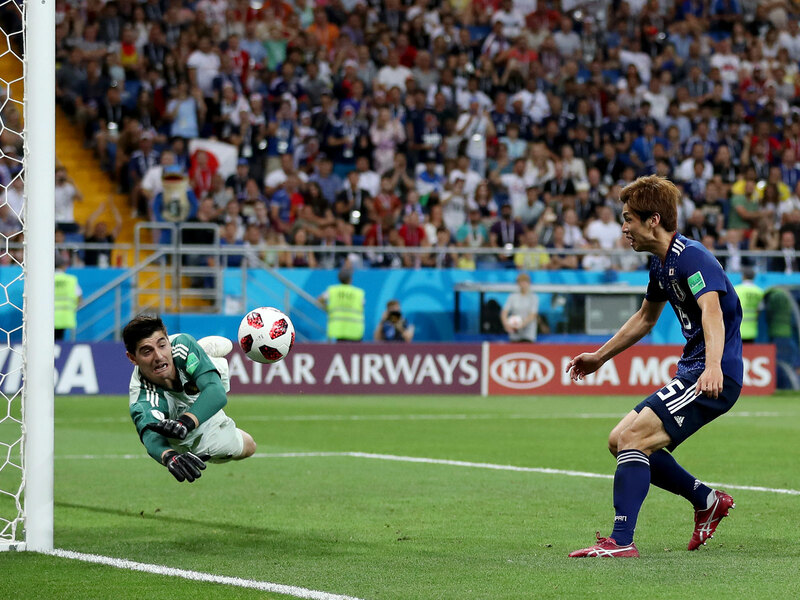 His movement for Nacer Chadli’s game-winning goal against Japan drew two defenders out of the way, and his dummy took another out of the game. He also excelled playing wide right against Brazil, leading several dangerous counters. 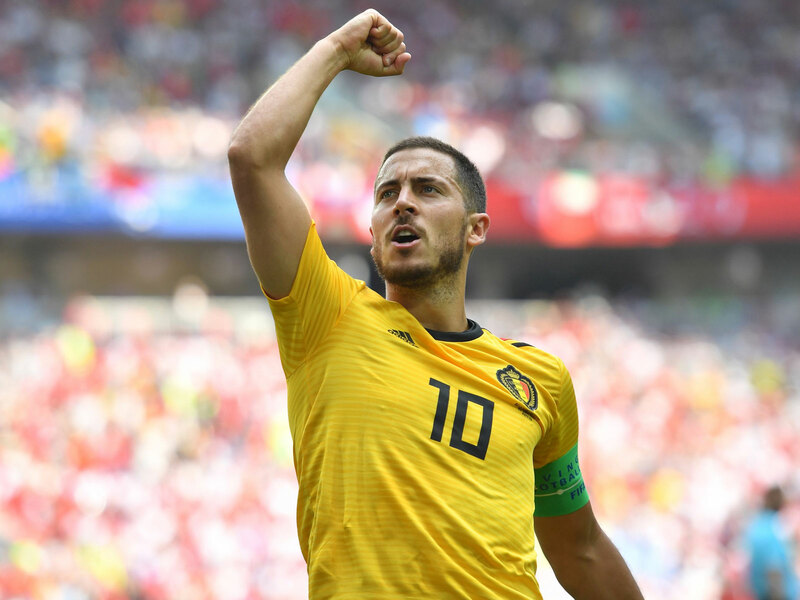 Nobody completed more successful dribbles in the World Cup than Hazard, his spark on the left a key factor in Belgium finishing third. What was striking was that he was equally potent against teams who sat deep, such as Tunisia and Panama, and teams who pushed up and offered space to attack on the break, such as Brazil.